No matter what industry you work in, here is some practical advice on how to be your best self at work every day of 2017. 1. Strengthen Your Soft Skills: Don’t overlook the value of less-tangible skills like emotional intelligence or "EQ" in succeeding at work. The World Economic Forum said it will be one of the top 10 job skills by 2020 because people with high EQ handle pressure well, know how to cooperate with others, are open to feedback, and empathetic. Who doesn’t want to be around more people like that? To develop more emotional intelligence start by practicing active listening. To get better at this, Harvey Deutschendorf recommends pretending you'll be tested after your chat and ask them to clarify statements so you can really understand what they are telling you. He also suggests opening yourself up to talk about yourself in a frank, non-defensive manner to better connect with your coworkers. 2. Show Gratitude: A Harris Poll on behalf of University of Phoenix that surveyed over 1,000 U.S. adults who work full time in HR or senior management showed that 51% of managers who used public recognition and 54% of managers who used rewards to solicit ideas were better able to encourage innovation. Saying "thank you" is good for your health and good for the bottom line, too. Acknowledging fundraisers’ work with donors led to a 50% increase in their productivity, according to Harvard Health. 3. Make More Connections: Collaborative research by TINYpulse and Microsoft Workplace Analytics revealed that employees who had the largest number of connections among their peers in the workplace had the most influence. And the more they collaborated with others the more highly regarded they were in the organization. The high performers spent as much as four hours more per week working closely with others. To get more proficient at expanding your networks, start by not being afraid to show what you don't know. Lack of experience can lead to questions that could connect you with people you'd never met if you just pretended to know everything. For women who are dealing with unconscious bias, it helps to highlight other women's achievements. Endorsing another woman could lead to collaboration and an expanded network. 4. Create Your Own Development Program: Dorie Blesoff, chief people officer at kCura, a legal software firm, says, "If your company doesn’t offer a formal learning and development program, don’t let that stop you." Conferences or classes are a great way to do this. She also suggests asking for a stretch assignment or participating in a cross-functional team to expand your contributions beyond your department. Blesoff says, "If you actively seek out learning and develop new skills, you will stand out as someone who takes initiative and deserves more responsibility." Just don’t forget to show off what you’ve accomplished. "What’s most powerful is when you can demonstrate that your learning and growth also promote the success of the organization," she says. 5. Request Regular Feedback: Karen Nowicki, director of engineering at kCura, concurs with her colleague Blesoff’s advice and adds, "Even if your organization doesn’t have a formal performance coaching program, make it clear to your manager that you are interested in frequent feedback if you want to boost your own job satisfaction and move your career forward in 2017." Nowicki recommends asking to schedule monthly one-on-one check-ins to gauge your performance throughout the year. "That way," she says, "you’ll always know where you stand, and what you can improve." 6. Get Better At Goal Setting: Vip Sandhir, CEO and founder of HighGround, an employee engagement software provider, says that standout employees set goals outside of their comfort zone often and tie them closely to the broader corporate goals for maximum impact. But it’s not enough to set the goal and put yourself on autopilot until you reach it. Sandhir says it’s necessary to pair this with frequent check-ins with your manager on goal progress and challenges. He also suggests being proactive about getting constructive feedback from other teams and peers. A BetterWorks employee sentiment survey found that 92% reported they’d work harder if their coworkers could see their goals, while a New Norms @Work survey found that 26% of workers believe that discussing success with colleagues motivates them. 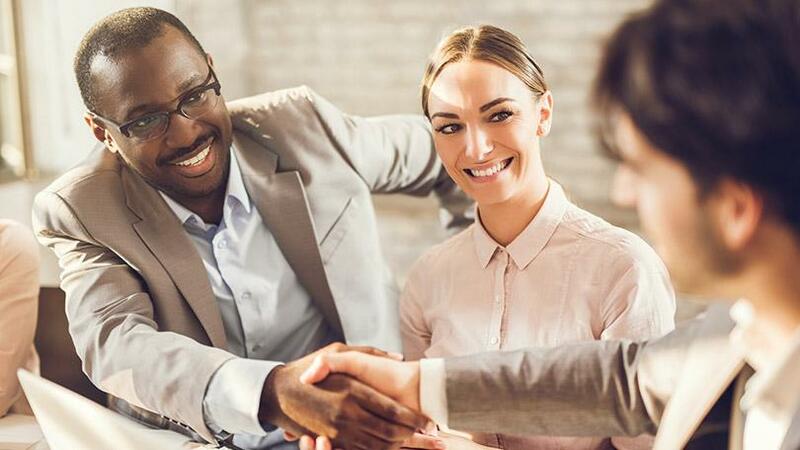 "While none of these characteristics will appear on a job description," says Sandhir, "these three things build confidence in employees, both by themselves and the employers who want to keep them. 7. Get Better At Managing Your Time: It's one thing to set goals, and it's another to meet them on time. The Project Management Institute reports that only 64% of projects meet their goals.Getting the job done without stretching deadlines can quickly make you a workplace star. One way to make sure you get things done is by avoiding generating too many ideas up front, according to entrepreneur Faisal Hoque, so keep it simple and straightforward. Once you've defined your project's basic scope, says Hoque, outline a few of the initial milestones. "With every small first step," he says, the path forward becomes ever clearer." 8. Send Better Emails: Everyone could stand to learn how to write better emails. Thankfully, Jocelyn Glei wrote the book on making them shorter and more effective in her book Unsubscribe. To be more clear, concise, and actionable, Glei recommends the following strategies: Get right to the point immediately and do your explaining later, Establish your credibility, and Make the next step clear. Doing these things, says Glei, "shows you’ve respected [the recipient's] time, and they now know that dealing with you won’t be another headache they don’t need." 9. Step Up Your Social Media Game: Although a slew of job seekers use social media to scope out a potential new employer, there are plenty of ways to use social to boost your career in the job you have. Use it to search for thought leaders. Not only can their wisdom add to yours, but you can use social to position yourself alongside them, further giving your cred a boost. You can and should also use social platforms to share what you are working on. As Hootsuite CEO Ryan Holmes notes, "Social media, used correctly, can be an executive productivity tool, a global broadcast channel, a source of consumer and competitor intel, and a PR vehicle." 10. Improve The Way You Deal With Conflict: Whenever there's more than one person working on a project, there are bound to be differences of opinions. Those can escalate to conflict depending on the personalities of the players involved. If that happens, fear not, says entrepreneur John Rampton. First, he says, "it’s important to find out what's causing the clash before you roll up your sleeves to try and fix it." That could be emotional overload or members of the group who aren't willing to compromise. Once that's determined, Rampton recommends reminding everyone of their common goal and suggest a compromise. Above all, says Nate Regier, CEO of Next Element, don't fear it. "Conflict is the source of energy. The real problem is the casualties caused by misusing that energy—by failing to channel it into something productive."